To mend nets was tedious but necessary. You would take your net and spread it on the ground in a open space. Every knot would be carefully examined. All holes would be repaired. Nothing was overlooked. Fishing nets were painstakingly maintained. Everyday, without fail. Fish would school, and if your gear was right, and you were in a prime place, you could catch a lot. But at the same time, you could let hundreds of fish escape through a hole in your net. Each fish that escaped meant money lost. Jesus walking along the beach surveyed the boats and crews. Since most of these guys had worked through the night, they were tired and maybe a bit “punchy.” Some had gotten somewhat lucky, while others had very little to show for working so hard. Most likely the different crews teased each other as they unloaded. Jesus walked through the bunches of fisherman. He looked at their hauls to see what they had caught. But it wasn’t the catch He was looking at, it was the men. It was from these laboring fishermen that He would choose. These men were rough and tumble rednecks. Now if you are looking for disciples– future apostles and leaders, the seashore is not the best place to recruit. They really have a rudimentary education. No theology, and just a meager understanding of Jewish ritual and religion. Essentially there was no time for them to think outside their occupation. Sure there just might be one, or two that possessed more, but that would be the exception. But Jesus had no desire to interview them, and take the best of the lot. He didn’t have a Human Resources Department, there were no tests, and no forms that had to list references. He simply commanded, and those who understood followed. Only after they left it all did He get their names and addresses. I think that it is the same today. Will we leave our boat, with your nets? Really, you can keep mending or you can follow Him– it’s your choice. Most of the time though, decisions have a tendency to be irrevocable. Perhaps you have a moment, an instant of time to decide. Sometimes mending nets can be back-breaking and tedious. But following the Lord Jesus is an unknown; too many choose to keep mending. Others are launched into something new, and eternally significant. The glaring truth is the necessity of obedience to Jesus’ command. There is no other voice we must hear. As a matter of fact, hearing (and really apprehending) is the only foundation we can trust to make our obedience true. You can keep mending your nets and preparing for another night on the water. That is always your prerogative. But if you decide to follow you will need to leave what you know behind. That is authentic discipleship. 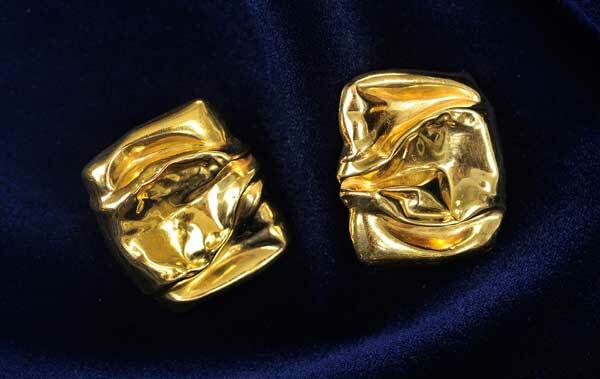 I once admired the earrings my friend, Ann, was wearing – they were square, smooth, flat, and made of gold. When I remarked how beautiful they were, she replied, “They’re yours!” Ann then proceeded to take them off and put them on my ears! Humbled by her gift, the earrings became a treasure. Once while wearing them at work, one slipped off my ear – looked but couldn’t find it, so I wheeled to my office door to ask for help. Then watch His methods, watch His ways! Visit Joni Eareckson Tada and Friends at http://www.joniandfriends.org/. Her bio can be found at http://www.joniandfriends.org/jonis-corner/jonis-bio/. When you visit this site you will find a lot of helpful resources to some pretty useful materials on the disability needs on an international level. 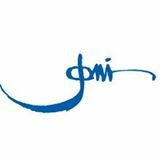 Emails, Facebook, Podcasts, TV Series, and great teachings are just part of the daily ministries available. Anyone interested in being discipled with a strong disability emphasis not always heard anywhere else really should visit. The need of this moment is critical. Many believers have never came to this point of ‘knowing.’ Maturity comes when one realizes that crucifixion has dealt with the old man. We died when He died, we were there when He died, we were part of that event. Romans 6 is all about a believers ‘co-crucifixion’ with Jesus Christ. Calvary was far more than a religious event— it was where our sin was terminated. It was more than just a penalty carried— it was where our old nature put to death. Sin has no power to sway a dead man. A man who is dead doesn’t respond to a girl in a leopard skin bikini. (It doesn’t matter if she is insanely gorgeous). He no longer can be tempted to sin. Why? Because he is dead. This is not an issue of semantics, it is not poetic interpretation of a metaphor. It rings true in heaven and it is quite real here on earth. this is a God honoring way to live. Crucifixion should always be taken by faith in God’s Word and it will lead to resurrection. Crucifixion weakness is necessary for resurrection power. Jesus shares his life with us— his power is given to his people. He shares all that He is so we might become like him. We’ve been given a gracious teacher in the person of the Holy Spirit. He will never condemn our feeble efforts to be holy. Be encouraged: God delights to make the weakest of us strong. He has done all He can to work holiness into our hearts.